Our Kindergarten through 8th graders are invited to join Art Club! Students will have an opportunity to explore many different forms of art, from watercolor to clay. Each week students will create a unique piece of art. Grades will be split into three sessions: grades 6-8 will take place in the fall, grades 3-5 in the winter, and grades K-2 in the spring. Art Club will meet every Wednesday from 2:45 to 4:00 PM and the cost is $35. Click here for the most current art club registration form. 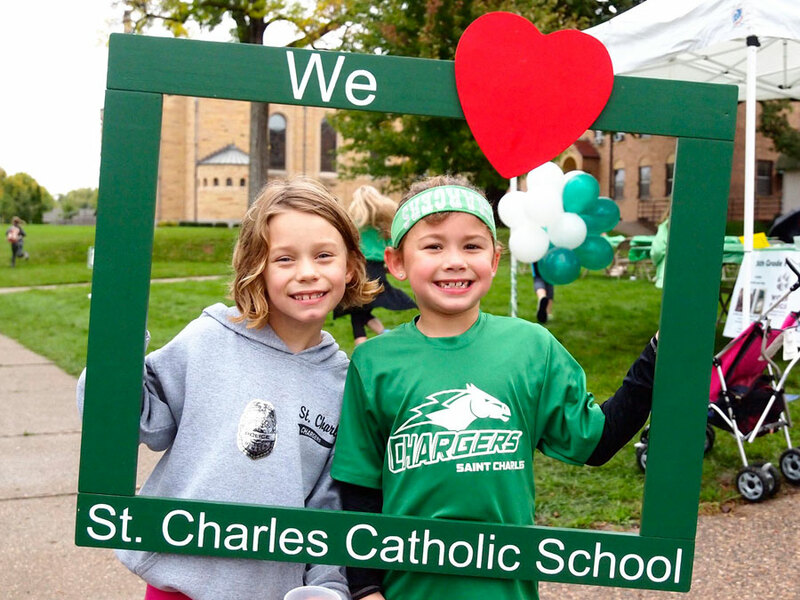 The St. Charles Charge to Serve group consists of middle school students who volunteer their time to help organize and plan activities, service projects and events for the school. Some examples include dances/open gym, fundraisers, 8th grade breakfast, etc. Learn more here. Grades 3-8 are invited to participate in Chess Club. Students will learn everything from the basics of opening, middle, and endgame technique to more intermediate strategy and positional play. The club will focus on beginner and intermediate level chess and will enable students to fall in love with the game that Bobby Fischer reinvigorated for America in the 1970’s. Students will engage in group instructional sessions as well as one-on-one combat in the game of kings. This is a fun opportunity to challenge the mind and promote concentration. While part of the academic day, students in fifth and eighth grades participate in the Drug Abuse Resistance Education (D.A.R.E.) program. St. Anthony Police Department personnel, working in conjunction with our middle school staff provide instruction in this area of safety awareness. 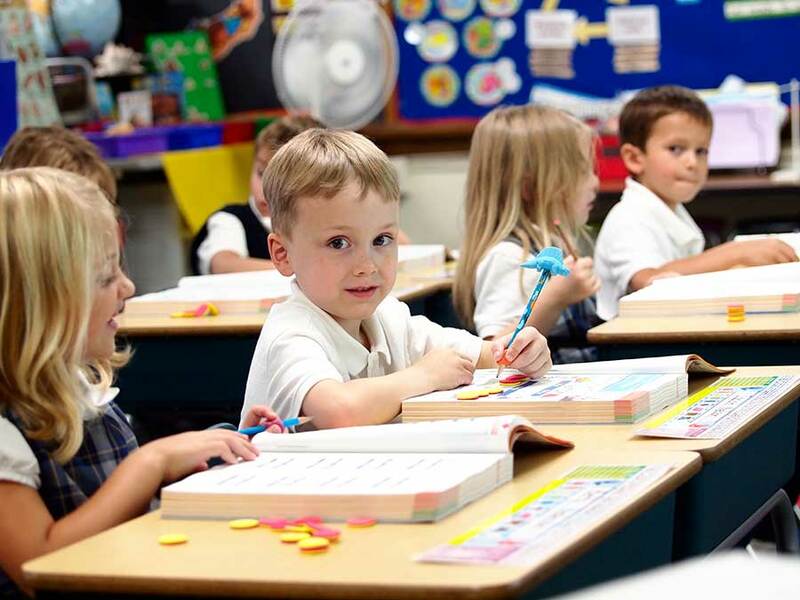 Beginning in 5th grade, male students are invited to begin performing the duties of Alter Servers. Training and initial serving experience typically begins for new altar servers near the beginning of Lent under the supervision of the parish Deacon. Initially, inexperienced servers are paired with more experienced servers to assist in the learning process. Student lectors serve at various school masses throughout the year. This program is open to 8th grade students who wish to volunteer and be trained for this liturgical service. Students in grades 4-8 can now join a Lego League competition team! The team consists of 10 students who will build a robot to complete a set of tasks. The team will also identify a real-world engineering problem, propose a solution to that problem, and create an inventive presentation to convey the problem and the solution to members of the community impacted by the problem. The team will work on its robot and presentation over the course of 10 weeks in the fall and then will compete against other teams at a regional tournament in late November or December. Students in grades K-8 are invited to enroll in karate lessons this year; see the 2018 Sterling Karate Flyer for more information. 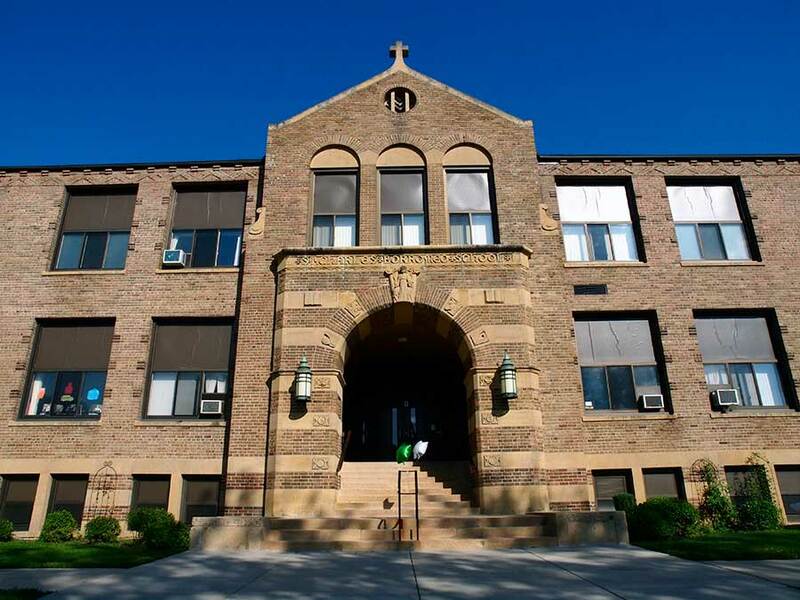 Sterling Karate will offer weekly classes on Tuesdays at St. Charles School. To sign up for classes or to get more information about Sterling Karate, visit www.sterlingkarate.com. Karate class begins at 3 pm and ends at 3:50 pm; parents can pick their children up in the cafeteria before 4 pm. At 4 pm any remaining students will be sent to Aftercare in the Middle School Commons and charged accordingly. Students who go from Karate to Aftercare will be charged $5 for pick up before 4:45 pm, and $10 for a pick up time of 4:45 pm and later. Students arriving in Aftercare from Karate will receive a snack upon arrival. Students in 6th grade serve as safety patrols. They are assigned weekly duty on a rotating year-long schedule from Tony Carpenter, the Safety Patrol Coordinator, on the first day of school. If a student cannot fulfill their duty, he/she needs to contact other classmates to find a replacement. If there is inclement weather, Tony Carpenter will let the scheduled patrols know whether or not they are required to perform their duties. Morning duty is begins at 7:30 am until the bell rings at 7:40 am. Afternoon duty is from 2:43 pm to 2:48 pm. If your student is interested in taking piano lessons at St. Charles, contact Mary Ann Zabinski who teaches lessons at our school and is a MN Music Teacher’s Certified Piano Teacher. Lessons begin in mid-September and continue through Memorial Day. Cost is $25/lesson. You can contact Mrs. Zabinski at makzabinski@gmail.com or 612-787-1104. The joys found in music training are immense and long-lasting! Quiz Bowl is a general knowledge bowl sponsored by area Catholic high schools. The St. Charles Quiz Bowl team meets for practice after school in November and December. Students have the opportunity to use the knowledge they have gained through school, extra-curricular activities, and their own interests to test their wits against other Twin Cities schools in the MN Quiz Bowl Alliance. They will compete in regional Quiz Bowl tournaments as well as the National Quiz Bowl tournament in the spring. Our team has a successful history of reaching the national competition level! Hit the ground running this year and join the new K-4 Run Club! Runners will learn stretching techniques, good form and running etiquette. Focus will be on participation and personal accomplishments. The running club will culminate with the completion of the 1K Mini-Marshmallow Fun Run in Maple Grove in October. 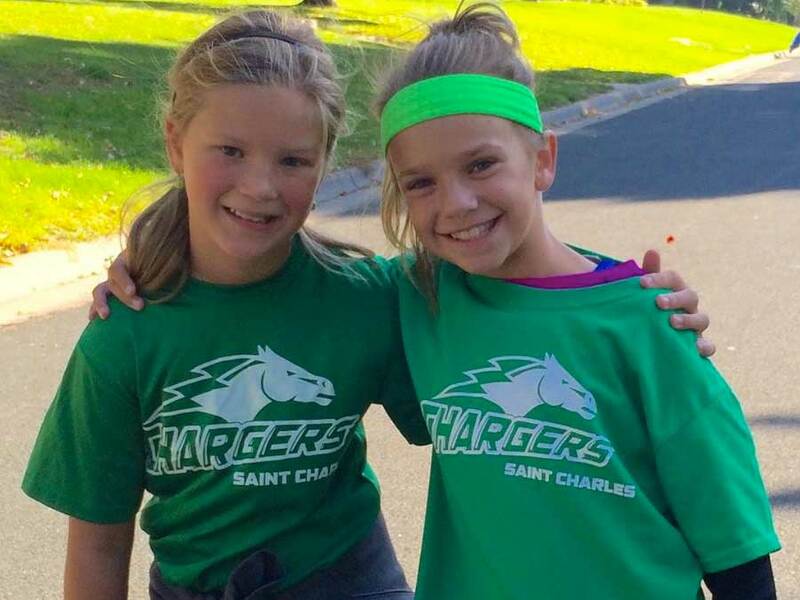 Run Club meets Wednesdays after school & Saturdays 10-11 am from September through October. Cost is $25 per participant to cover the cost of club t-shirts and race registration. The St. Charles School Spelling Bee is an annual event that gives students a chance to shine in an academic discipline. Mini Spelling Bees, (or what used to be referred to as a “spell down”), take place in the Language Arts classes for grades 5-8. The top two or three people from each of these grade level “bees” go on to the school bee that is held in the school cafeteria. A different set of words is used for the school rounds. The top three spellers from this school bee are acknowledged at the end of the spelling bee. In addition, they receive a certificate during the Honor Roll ceremony at the end of the trimester closest to the spelling bee. St. Charles School also participates in the MCYO Spelling Bee held each February or March at St. Helena’s School. The top two spellers from each of the Middle School grades as determined by the School Spelling Bee are invited to attend that spelling bee to represent St. Charles. Our STEM Club is for 5th through 8th grade students. STEM (Science, Technology, Engineering, and Mathematics) is fun and exciting! It is rapidly expanding even in untraditional areas of life. STEM Club meets on Saturday mornings for 6 weeks from February to March. Cost is $40 per student. Parents are welcome to volunteer and help out! Click here for the 2019 STEM Club registration form.